Click here to view an old map of Frisby. 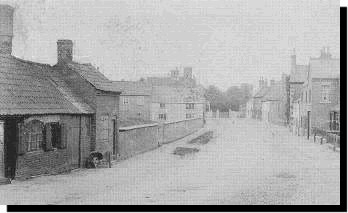 The corner of Mill Lane and Great Lane, in 1900. 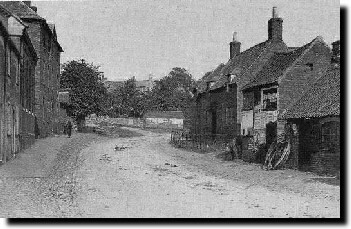 The thatched cottage to the right is now called Sunnyside Cottage. A view of Main Street in 1900. The Black Horse Public house is on the left. 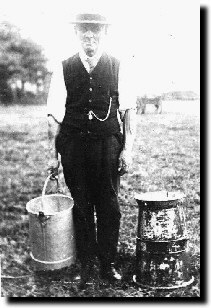 The landlord at that time was Austin Rodwell. 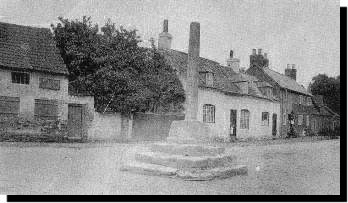 The market cross on Main Street in 1916. This view can be compared with the one below taken sixteen years earlier. 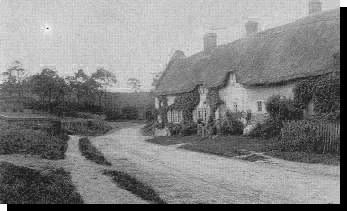 The thatched cottage on Rotherby Lane in 1906. 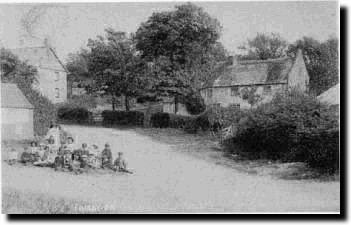 The cottage still stands showing very little alteration and is now called Zion House. 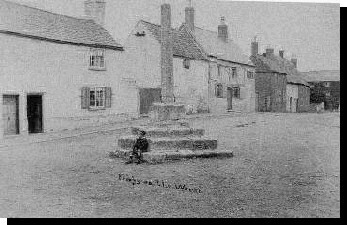 The market cross in 1900. 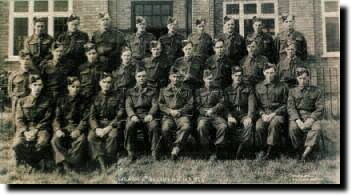 To the left of the photograph is the workshop of Anthony and William Whitaker, saddlers. Main Street in 1904. A wheelbarrow stands outside the wheelright's shop owned by Charles Edward Frisby. The sign for the Bell public house (licensee Robert Weston) is just visible in the centre background. 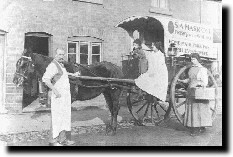 On the right is the bakehouse run by Samuel Arthur Marriott. 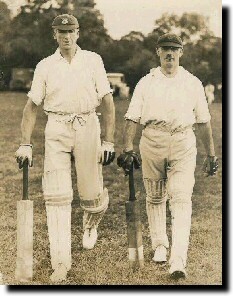 Frisby Cricket Team � about 1920.